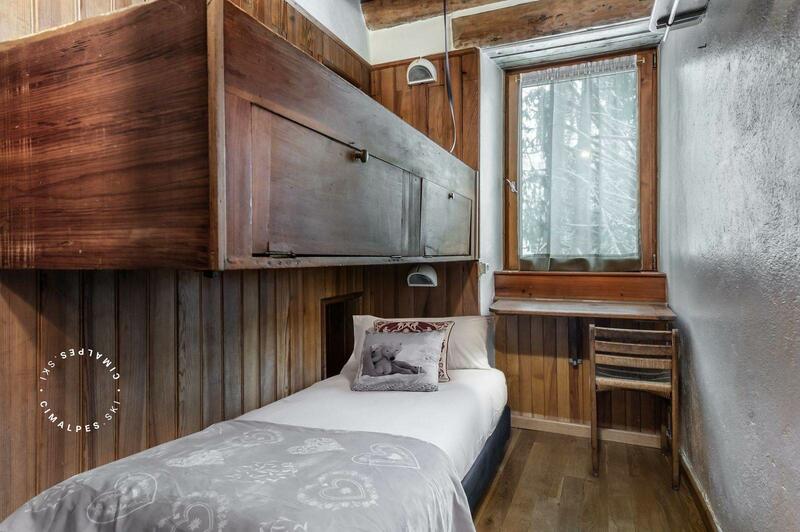 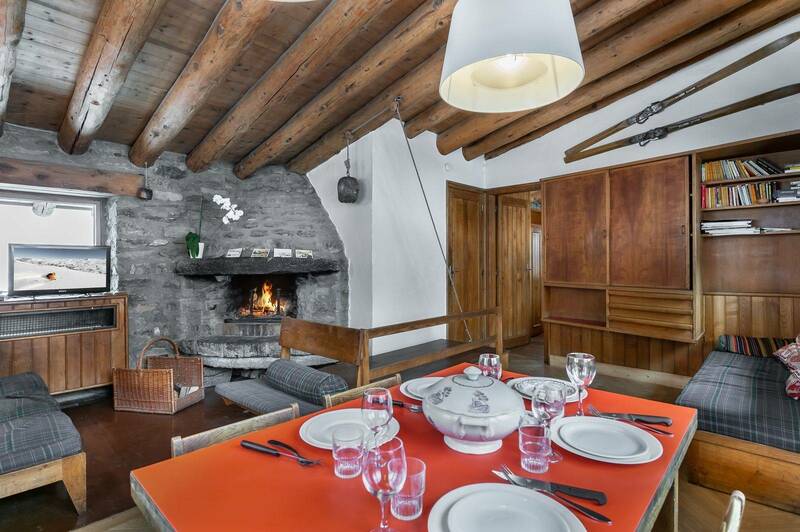 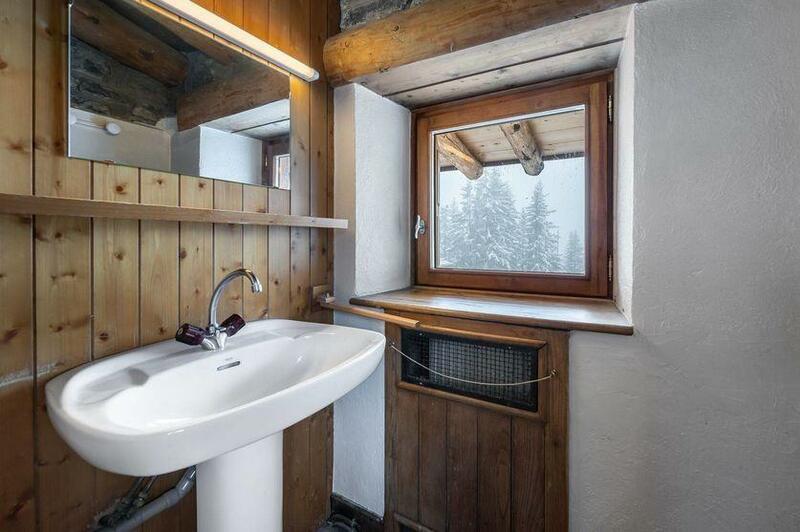 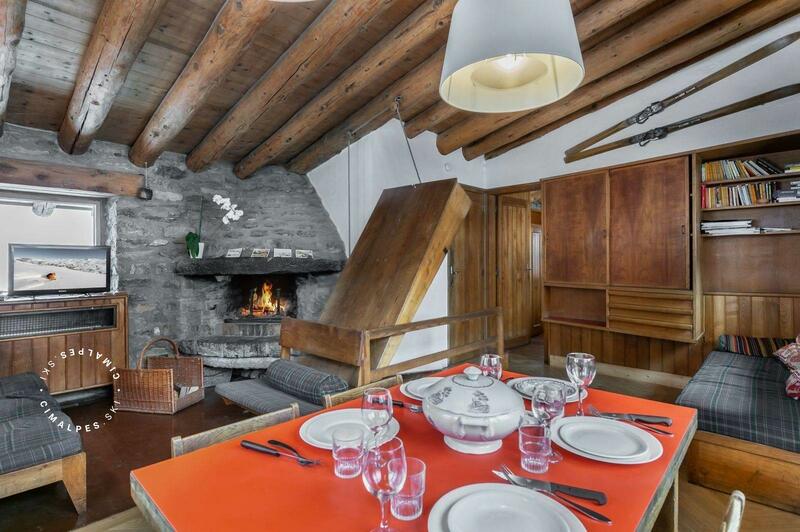 First Chalet built in 1949 by the architect D.Pradelle Courchevel 1850. 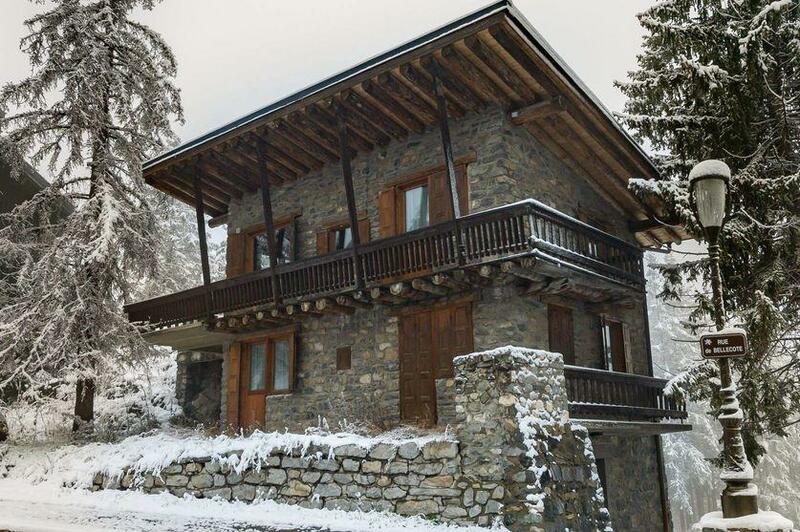 200m from the snow front it will allow you to quickly access the Bellecote ski slopes which is just next to the Joliot Curie Chalet. 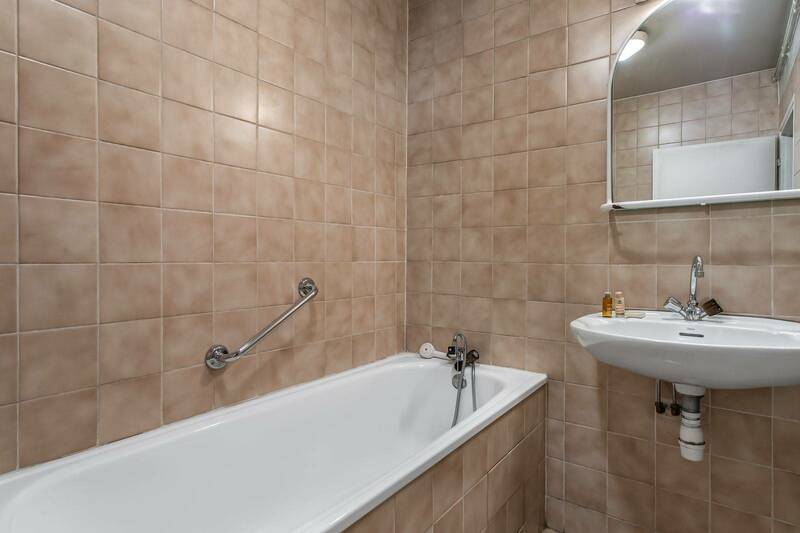 It is also close to the various shops and restaurants of the resort. 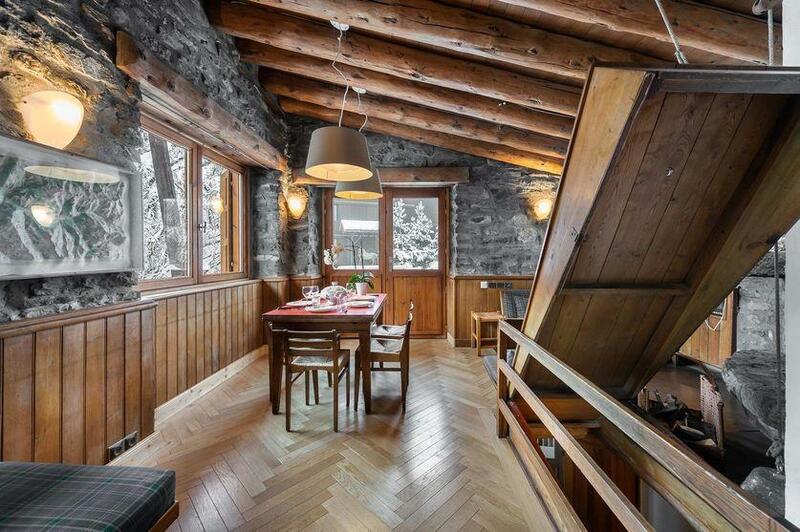 The chalet has 4 bedrooms and can accommodate up to 8 people. It offers three double bedrooms with 2 single beds and 1 bedroom with a single bed and a hanging bed. 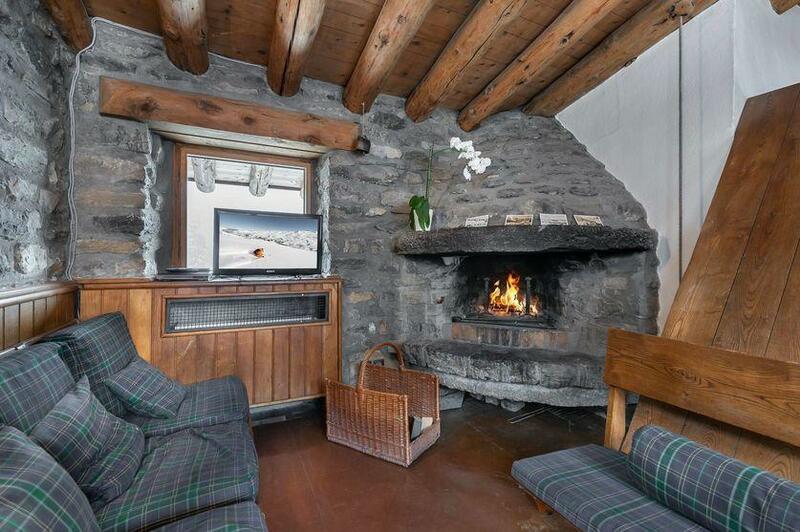 A convertible sofa that can turn into sleeping for 2 people is in the living room of the cottage. 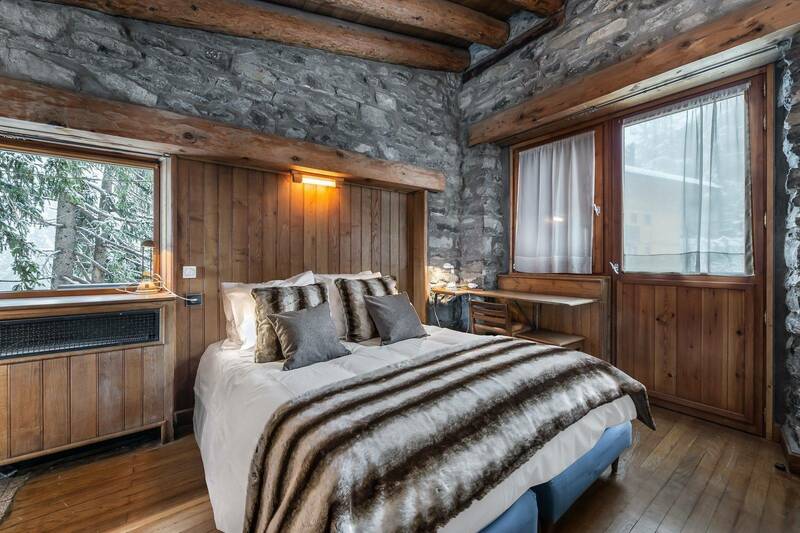 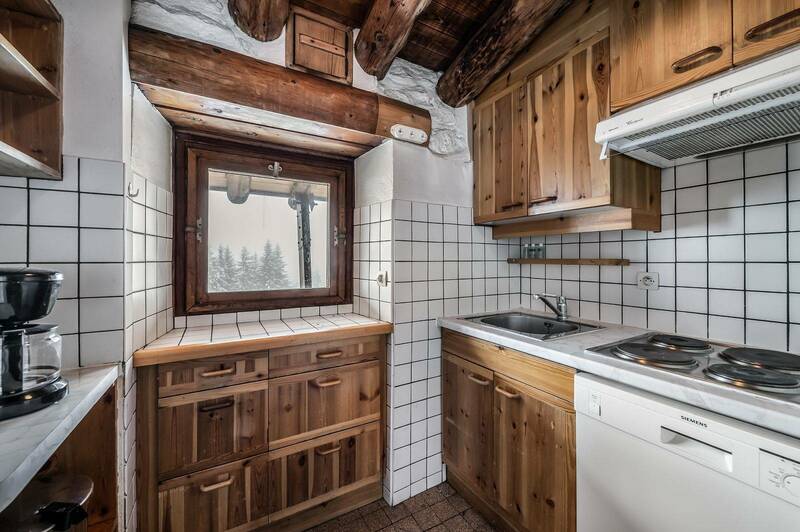 Its rustic and atypical decoration makes it unique and will immerse you during the time of your holidays in the Alps. 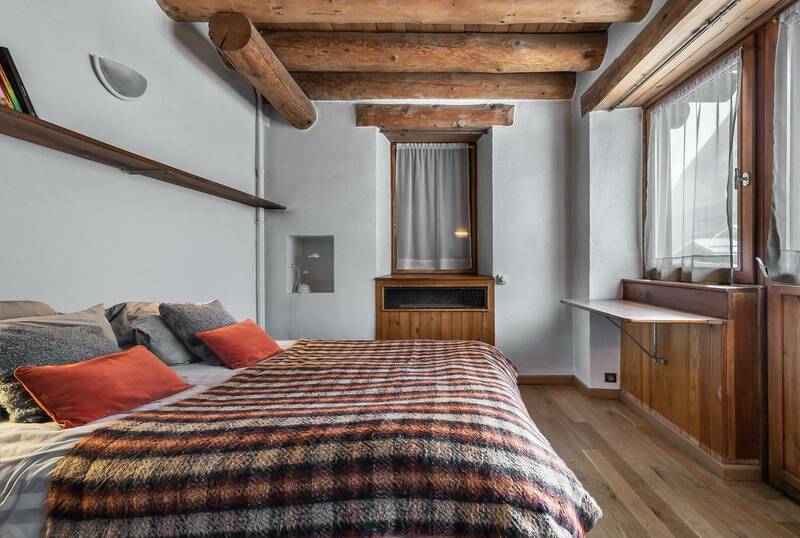 Living area : A sofa which can turn into a bed for 1 person. 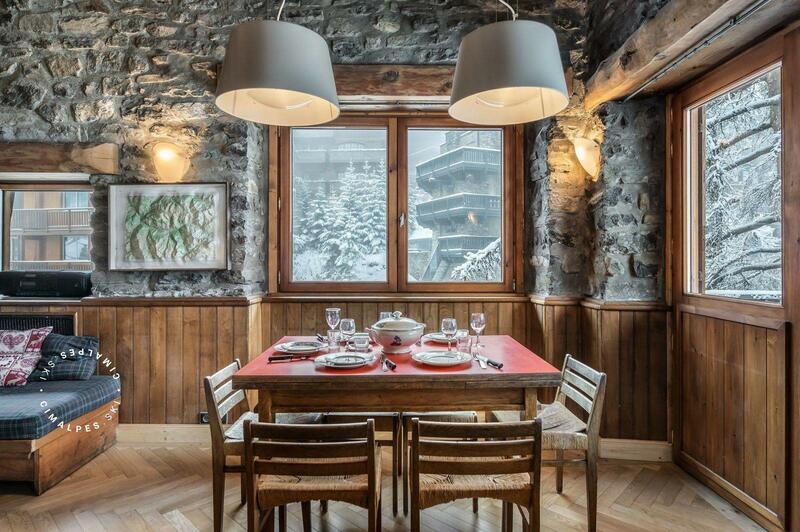 The Chalet Joliot Curie is located 200m away from the Courchevel 1850 snow front. 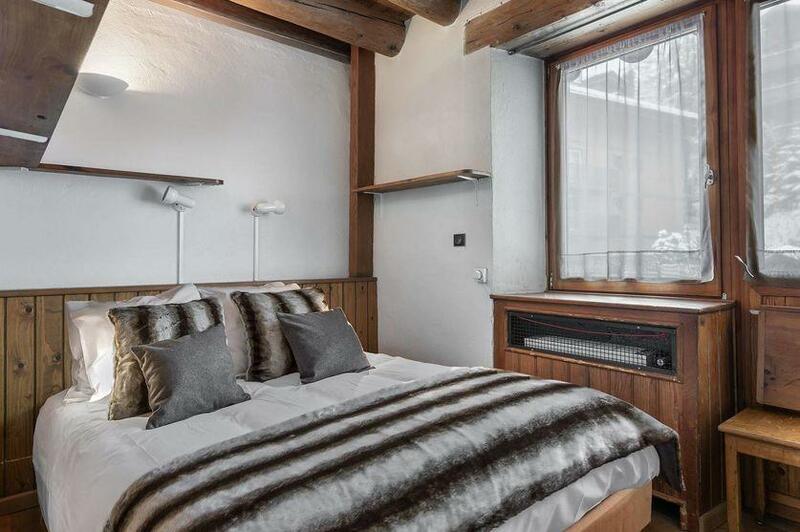 It has the advantage of being close to the Bellecôte ski slope and it's also close to the shops.